In addition to the creative factor in selecting beverage ingredients for their flavor balance, it’s interesting to add an overall theme to the selection process. The following recipes establish a thematic spectrum that develops the “idea” or state of mind that the beverage expresses. Tamarango suggests a trip to the Tropics, where all of its ingredients are well-established culinary items. The tamarind fruit is a common beverage ingredient there. It is actually a legume, not a berry. Tamarind trees originated in North Africa, but because of their value as food and a provider of building materials, cultivation has spread throughout the tropical regions. South Asia and Mexico are the two areas where tamarind is most popular as a food item; there it provides a sweet but tangy contribution to sauces, curries and beverages. It also forms an important part of the flavor of Worcestershire and steak sauces said to have originated in India. The pulp inside the tamarind fruit is the edible part, but most types are very sour. 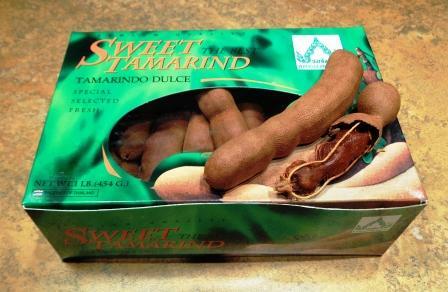 A variety of tamarind has been developed in Thailand, however, that is quite sweet, and used for snacking right out of the pod. It is this variety that goes into Tamarango. 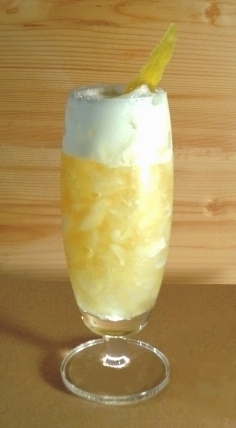 Mango provides the second most prominent flavor component in the beverage. Indeed, it can be found sold as dried slices mixed with tamarind paste and dusted with sugar to make a sweet and sour confection. The mango puree in this recipe is from the Ataulfo variety discovered in the Chiapas state of southern Mexico. They are seasonally available in Western supermarkets, and can be identified by their moderate size, lozenge shape and golden-yellow skin. While any well-ripened variety will work, this one is known for its exceptional sweetness (15-18 percent sugar), and lack of fibrous interior. Ataulfo mangoes are also quite aromatic. The larger Sindhi mango would be another excellent choice. Galangal is a spicier relative of ginger, featured in many examples of Thai and Indian cooking. Galangal and lime juice tonic is well known in parts of Southeast Asia. The wild herb epazote is a nod to the popularity of tamarind in Mexico. This weed is quite common throughout Mexico and the American Southwest, and adds a peppery, minty flavor to Tamarango. 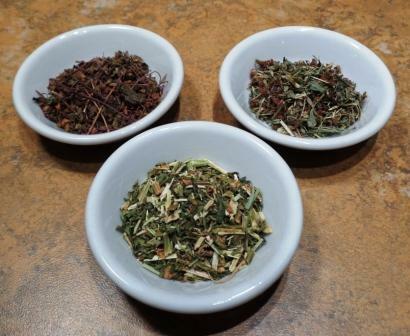 Tulsi, sometimes known as Holy Basil, is a plant held sacred in Hinduism. It is known in Auvedic medicine for its ability to protect against the effects of stress on the body. The recipe calls for two varieties of tulsi, purple-leafed Krishna, with a peppery crisp taste, and Rama, with a mellower, minty flavor. Top it off with a twist of lemon peel. Fantastic. This entry was posted in soft drinks, Uncategorized and tagged fermentation, galangal, homebrewing, mango, soft drink, soft drink recipe, tamarind, Tulsi, umami. Looks delicious. As a fairly inexperienced homebrewer I find your site a great source of inspiration! Thought I would just make beer but now I’m seriously considering making sodas too. Thanks! Thanks very much for the feedback! Look for my post on Watermelon-Pomegranate soda coming up soon. These drinks are great for kids, temperate guests, and of course adding a shot of spirits too!